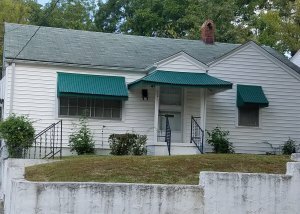 Sell Or Keep Your Inherited Property In Greensboro? 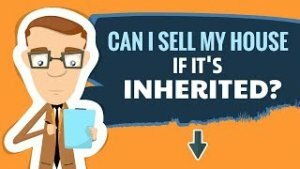 Are you trying to decide whether to sell or keep your inherited property in Greensboro? It can be frustrating spending money on a house in order to sell it, especially one that wasn’t yours. In our latest post, we help you learn more about your selling options! Whether or not you knew about the inheritance, you might be faced with some unexpected challenges once the property is in your name. Owning a house can be expensive. The bills, the taxes, the maintenance, and the unexpected repairs can come as a shock. As any investor will tell you, the longer you own it, the more it is costing you. Before you make a decision about whether to sell or keep the inherited property, ask yourself a few questions. Take the time to learn about the market and the property in question, to better help with your decision. Below, we will offer some tips to help you determine if you should keep or sell your inherited property in Greensboro. Will will also offer some insight into the best ways to sell. Holding onto it for sentimental reasons is fine if that’s what you want to do, but don’t feel as if you are obligated to keep the house. Only keep the property if you have a sincere use for it. There is no sense in holding onto a property that will just end up sitting there. It will cost you money for taxes, maintenance and repairs, insurance is much higher on vacant houses. If there are other owners of the property, you will all need to sit down and come to a consensus. Work together to decide if the home should be kept or sold. If there is an odd man out, consider buying them out as not to cause further disagreement. Remember, it is just a house, and the person who passed it down to you would never want to see their gift become an argument. You can negotiate a price with a investor and split the profit evenly. The investor will take care of everything, all you need to do is show up for closing, if you are out of state, no problem, our attorney will handle it all and send you all the documents to close without making a trip. If the home has not yet been cleared out, that should happen first and foremost. A traditional property listing will come with some upfront costs. 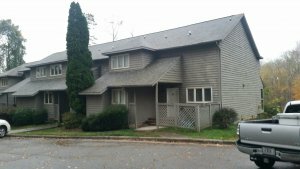 You’ll likely need to make some repairs to the house and have it professionally cleaned. It’s tricky making repairs to a house you’ve never owned. You may not know what you’re getting into. You don’t want to find yourself down a rabbit hole, spending thousands and thousands on a house you want to sell anyway. Depending on how you decide to sell, you could face not only repair costs but costs for marketing too. If you do not want any of the remaining items inside the house we will take care of everything. We will pay to have the items removed and if the items are in good shape we will donate to a local charity. 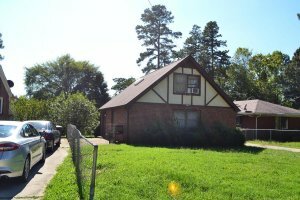 Listing your inherited property in Greensboro will require you to get the property ready for the MLS. Take a look at what other homes are selling for, and how your property stacks up. Be realistic with your prices, and don’t spend too much over-improving. When you list an inherited home, you may feel frustrated to suddenly have to spend money selling a house that isn’t yours. This is an option that comes with extra fees and closing costs but may be an option if you want to potentially make less money and have more headache. When you sell your inherited property to Arrington Investment Properties,LLC, you will not need to spend a dime out of pocket. Nor will you have to pay expensive commissions, agent fees, or administrative costs. By selling the property directly, you will be able to quickly receive your profits and move on from the house without spending months making repairs and waiting for the property to sell. We will take care of everything and offer you a fair price. Give us a call if you are in the Triad area of North Carolina and have a inherited house you need to sell.